I am at a writer’s conference in Myrtle Beach, South Carolina. Looking around the room at the opening session, I suddenly realize I do not know a single soul and I have made a terrible mistake coming here. I had looked forward to the trip for months, had imagined it would be a turning point in my career, had fantasized about meeting people who had read—and loved!—my work. But now it hits me: I have been as naive as a schoolboy, as naive in fact as the schoolboy in the James Joyce story who spends his week waiting to go to a fair to buy a gift for a girl who, he suddenly realizes, doesn’t even know he exists. In this one moment, I see it all: I will be lonely and miserable for the whole conference. Determined to prove that prophecy correct, I talk to no one for the first days, eat every meal on my own, and spend my time resenting all the people who seem to be having a hilariously good time. Looking back at that essay now, I find myself wondering who exactly is that “I” sitting in that room acting so neurotically self absorbed. Of course, in a very real sense, he is me: I did attend that conference and did feel those embarrassing emotions. But I find myself wanting to say that he is only me at a particular point in time and from a particular point of view and in the role of performing a particular service in a particular essay. That’s a lot of qualifiers, I know, but to try to sort out the ongoing confusion about the nature and trustworthiness of first-person narrators, we are going to have to go beyond the usual binary categories, such as reliable/unreliable, now-narrator/then-narrator, person/persona. Some of that confusion is built in: as writers of personal essays, we want our readers to trust that the “I” on the page is a real person writing about real events, but we also want to be granted the poetic license to craft a coherent and satisfying text. Given the inherent difference between the randomness and banality of life, and the need for dramatic tension and coherence in a well-made essay, a certain amount of selective editing is inevitable. (Joan Didion calls this process “the imposition of a narrative line on disparate events.”) My sense, though, is that we do little to help explain this tension when we as writers bristle at readers who question the accuracy or trustworthiness of our narratives, but bristle just as hard when those same readers assume there is no gap between the “I” in the essay and the “I” who crafted the essay. Most writers and teachers of personal narrative have long relied on binary categories—author/literary character, person/persona, then-narrator/now-narrator—to make clear the distinction between the “I” who is essentially the character in the action of the narrative and the “I” who is the essayist reflecting on that action. It’s a helpful distinction because it reminds readers and writing students that it’s not enough to just write down what happened: a writer of personal essays needs to construct an “I” capable of playing, moving between, and ultimately integrating the narrative of action she is constructing and the narrative of thinking about those actions. However, in trying to clarify that distinction, we often overlook the equally real and important third “I” of the personal essay: the one who has created both of the other two. It may be tempting to think that, while the acting “I” is a literary character, the reflecting self is the writer’s true or present self, but the truth is that the reflecting self on the page is no less a construction than the acting self (we might also call these the narrating and narrated selves). That is, both are representations of the self that we as authors employ to play particular roles for particular purposes. The problem, then, in describing the first-person speaker in a successful essay—and particularly in a segmented essay that moves between times and perspectives—is that the seemingly simple “I” is standing in for so many different parts of the self. Fortunately, though, creating and embodying a multidimensional “I” (and reading and making sense of someone else’s multidimensionality) is less complicated in practice than in theory, since we are all used to embodying different roles and perspectives throughout the day. In other words, we are all expert at moving back and forth between our past and present selves, our professional and personal selves, our more heartfelt and more ironic selves. It is this expertise that allows readers to understand that the “I” in a personal narrative represents someone making a truth claim (“What I am telling you now actually happened to me”) and putting on a performance (“But I’m telling you about this experience in a way that amps up its entertainment and/or its polemical value”). What allows these potentially conflicting roles to successfully coexist is, first, a strategic moving back and forth between showing and telling, between scenes in which the narrated “I” is in the action and scenes in which the narrating “I” stands to reflect on the action or sometimes even to reflect on the reflection. In the essay about my travel experiences, for example, I move between confessions about my neurotic, self-absorbed emotions to reflections about the absurdity, significance, and implications of those emotions. It’s clear, of course, that the “I” in the action knows less than the reflecting self, but it’s equally clear that the reflecting self, who seems only to be figuring things out on the page, knows less than the author who created “him.” By juxtaposing one with the other, I am able to both tell and interpret the evolving narrative. Similarly, if an essay is well constructed and the various “I”s are well developed and successfully integrated, a reader is able to accept the essay as both a truth claim and a work of art. This, too, sounds more complicated in explanation than it is in practice. We all grow up expert at knowing that the “I” who is telling us a story both is and isn’t the literal person who is speaking to us or whose name is on the title page. In The Uses of Enchantment, his book about how classic fairy tales can help young children make sense of the world, Bruno Bettelheim explains that from a very early age children experience certain magical elements of a story as symbolically rather than literally true. He gives an example from “The Three Little Pigs,” in which the pigs who build the houses out of sticks and straw are eaten (at least in the traditional version) while the brick-building pig survives. Bettelheim argues that, while this story may seem overly violent or traumatic to be appropriate for children, even a very young child understands on an unconscious level that the three pigs are actually three stages of the same pig. Given this understanding, Bettelheim, argues, the child can simultaneously experience the fear and sadness of the loss of the first two pigs and then the joy and relief of their ultimate survival as parts of the third pig. Again, I am not exempting myself from any this. As I reread that introduction about my narcissistic fantasies at the writer’s conference, I feel an urge to add a footnote: “I am not quite—or always—this neurotic in my everyday life.” But I realize that a footnote of that sort not only would make my essay less entertaining, it would also make it more pedantic. Readers who are willing and able to enter into our essays and accept the multidimensional “I” that we have constructed on the page as real should not be chastised for their naivete, they should be thanked for their trust. Lad Tobin’s personal essays have appeared in The Sun, The Rumpus, Fourth Genre, New Orleans Review, Full-Grown People, and The Norton Reader. 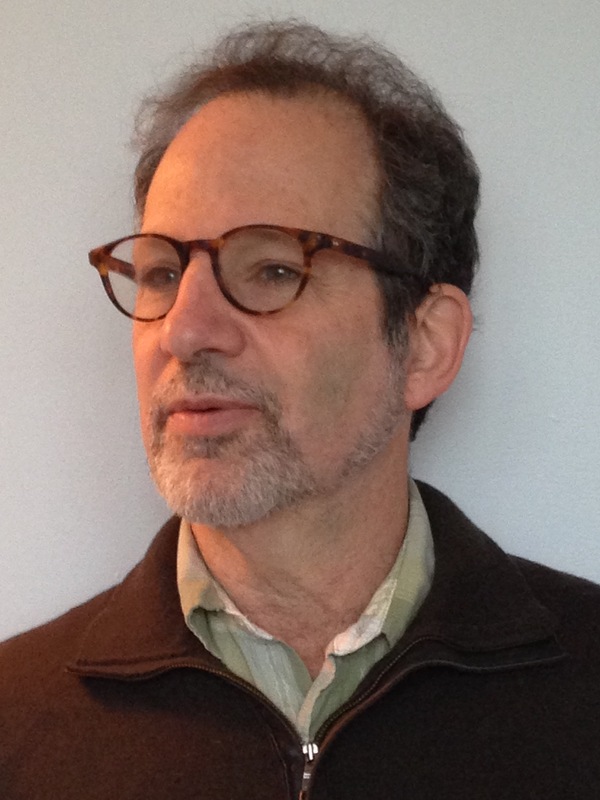 He is the author of two books of creative nonfiction about teaching creative nonfiction: Reading Student Writing: Confessions, Meditations, and Rants and Writing Relationships. He teaches at Boston College.